Have you ever forgotten to pay a bill or were charged a fee because you didn't pay the right amount? Never let that happen again with our Bill Tracking system. Our Bill Tracking tool lets you enter all your monthly bills, what amount you owe, when the bill is due, a note and what account you usually pay with. Does the amount of your bill change each month? That's ok! 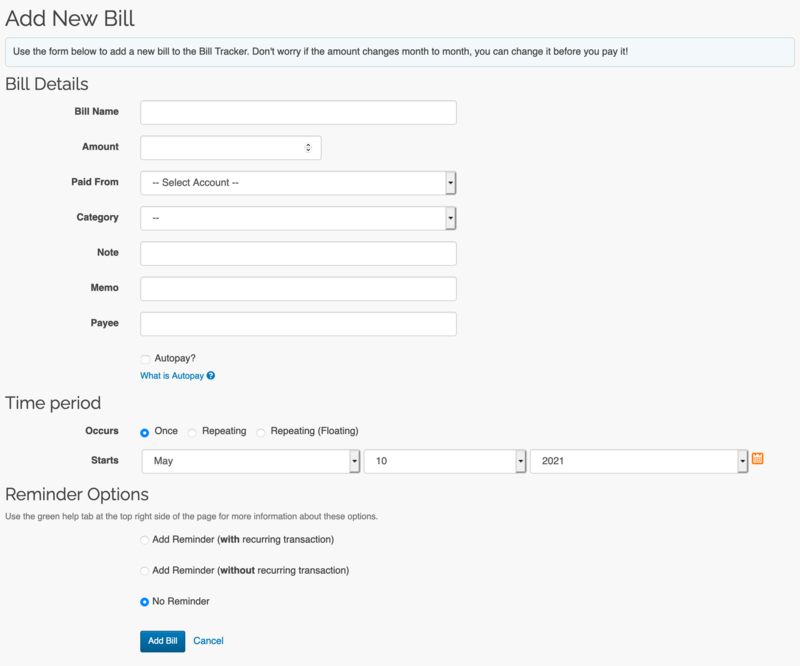 The Bill Tracker lets you easily change the amount of the bill when you know the new amount due. 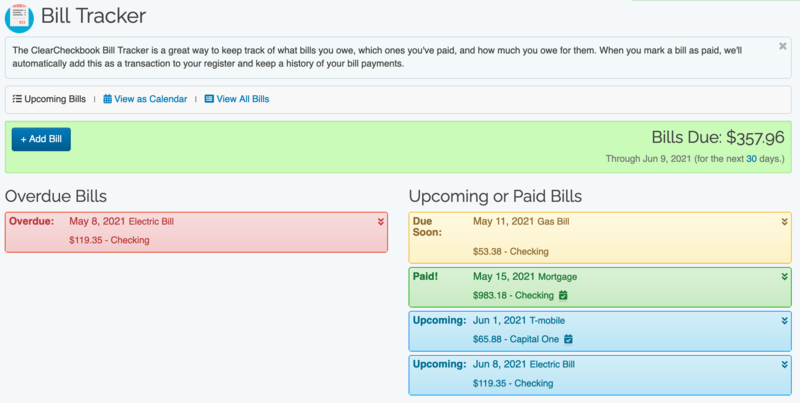 When you're ready to pay your bill, you can go to the Bill Tracker tool and click on the bill you want to pay. 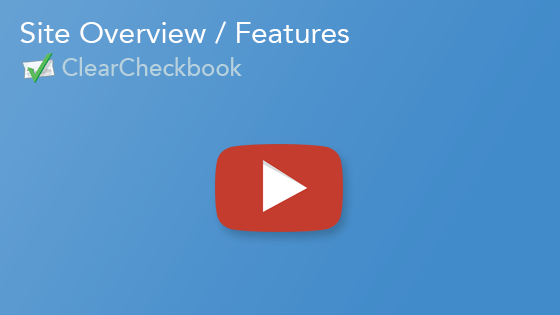 There's a button to Pay Now and you simply fill in the details. You can also hook the bill up to our recurring transactions tool and have the transaction posted to your account each month automatically. 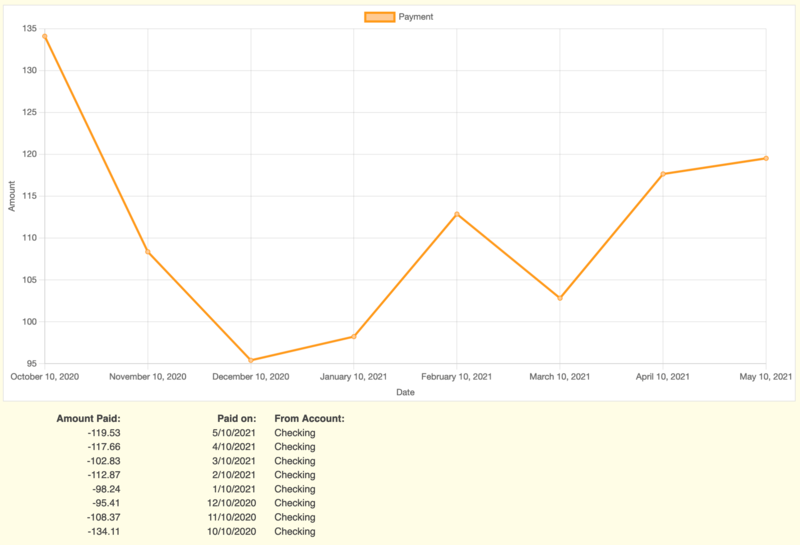 The Bill Tracker also lets you view a history of each bill payment, so you can see how much the amount for the bill payment has changed over time. This is a helpful tool if you're trying to cut back on your spending in certain areas.